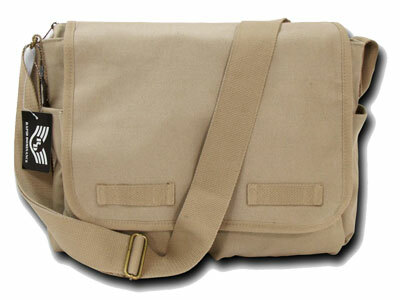 The Rapiddominance Classic Military Messenger Bag is a durable canvas bag. The front flap is held closed by hook and loop in two locations. It contains total 7 pockets. Among them two are front, two are side, one inside, one outside back pocket and main compartment. The two front pockets are close with zippered. These two pockets are great for carrying items such as keys, pens, dry erase markers, flashlight, MP3 players, etc. The two side pockets are great for carrying bottled water, an umbrella, or any other item that you need quick access to. They are close with button. The main compartment is very roomy and lined with polyester for added durability. It is enough roomy for small laptop like 15″ and and a variety of other items such as charging cable, travel mouse, tablet, wallet. But is not suitable for larger laptops. On the other hand the backside of the bag is a pocket which is held closed by hook and loop, this pocket is great for any item that you may need quick access to like pads and tampons, lipstick, powder, a travel hairbrush. The strap of this classic messenger bag is fully adjustable and the 2″ width makes the bag comfortable to carry. Antique brass details are used on the strap, which not only looks good, but also adds to the durability of the bag. 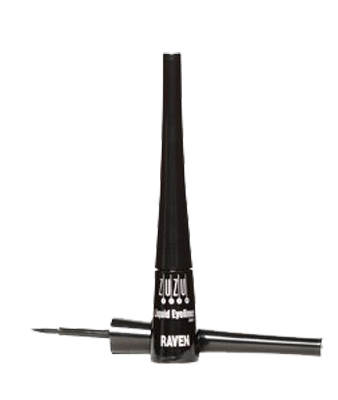 The zuzu luxe liquid eyeliner has a nice rich black hue which stays on well all day. It has also quick drying and water resistant ability. It is gluten free liquid eyeliner which is formulated with Jojoba Oil for smooth and easy application. It deliver ultimate precision to line, shape and define your eyes. This zuzu liquid eyeliner has no toxic ingredients, all natural. The color is nice and beautiful shades as well. Moreover, the applicator is fine. Water, Sorbitol, Cetyl Alcohol, Iron Oxides, Mica, Jojoba Oil, Bentonite, Bisabolol, Tocopherol, Xanthan Gum, Lecithin, Eyebright Extract, Titanium Dioxide, Cellulose Gum, Hectorite, Grapeseed Extract. 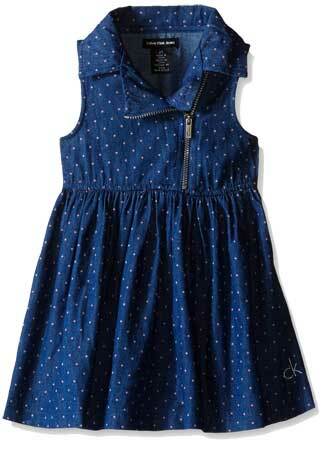 The Calvin Klein Girls Printed dress is sleeveless polka dot dress. It is made of 60% Cotton and 40% Polyester. The dark blue chambray dress contains small zipper in front side. It looks very adorable. The fabrics are light and thin, so it is also better for the summer. The dress is machine washable. 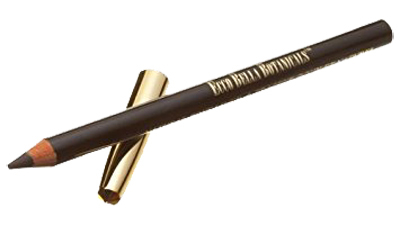 thebalm schwing liquid eyeliner includes a uniquely thin and tapered felt-tip applicator to make a thin line. On the other hand Schwing gives you careful control over subtle strokes and bold lines. It is amazing, pretty smudge proof and won’t flake. But you have to beware that the balm schwing black liquid eyeliner is not a waterproof. water, alcohol denat., glycerin, pullulan, disodium coco-glucoside citrate, hectorite, xanthan gum, citric acid, sodium hydroxide, sodium dehydroacetate, iron oxides, ferric ammonium ferrocyanide. For a thicker liquid line: Hold the tip of the liner flat to the skin. For an extended liquid line: Start at the outer eye corner and flick the liner out toward the temple. To define lower lash line: Use the fine tip, start at the outer eye corner feathering gently inwards. The Ecco Bella Velvet Natural Soft Eyeliner Pencil is made from vegetable waxes, no synthetic petroleum oils. You can easily use this. It not only stays on without smudging but also goes on very smoothly. Hydrogenated palm glycerides, hydrogenated palm kernel glycerides, hydrogenated coco glycerides, bees wax, carnauba wax, Japan wax, apricot kernel oil, ethyl cellulose, iron oxides, ultramarines, mica, titanium dioxide. Made from vegetable waxes, no synthetic petroleum oils.